This year, the February temperature is -3.74 F cooler than for example 1898. And if we compare this year’s February with 1896 it is -3.55 F cooler. Click on the graphs and they get bigger. 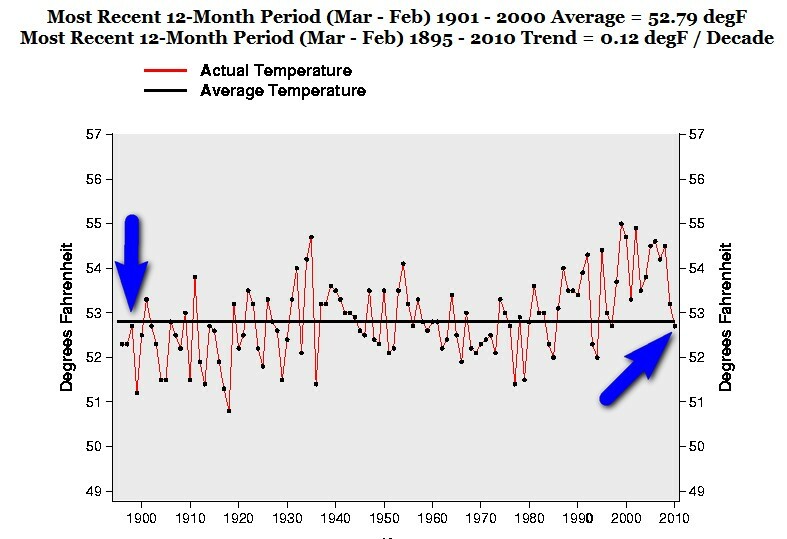 This year, 2009 /2010 (Mar-Feb), the temperature is EXACTLY THE SAME AS IN 1898! AND 1902. The difference is ah HUGE 0.02 F. One fiftieth of a degree in 112 years. 1/50 of a degree in 112 years. And the recent 3 Month period (Dec-Feb) 1895-2010. 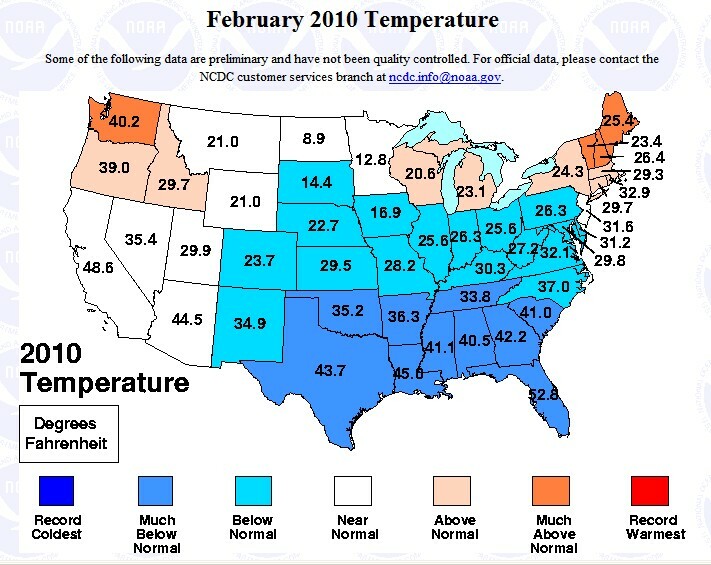 This year, 2009/2010 (Dec-Feb), was the 18th coolest December-February in 116 years. 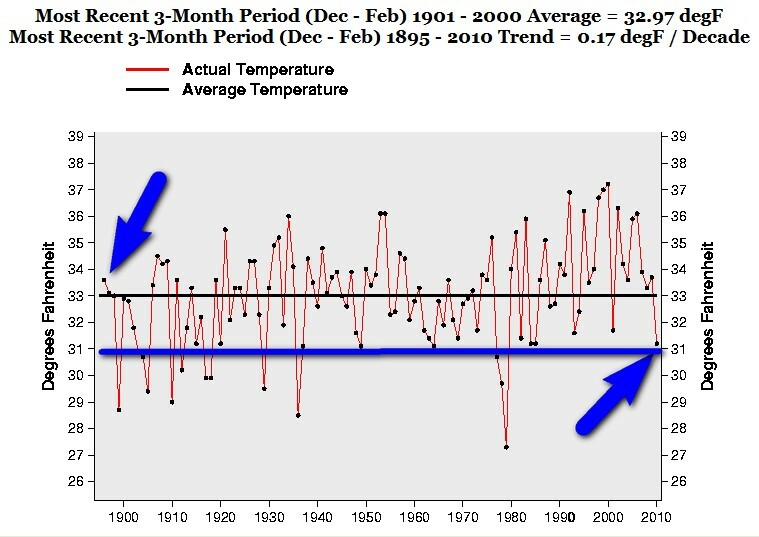 This year, the Dec-Feb temperature is -2.41 F cooler than for example 1896. 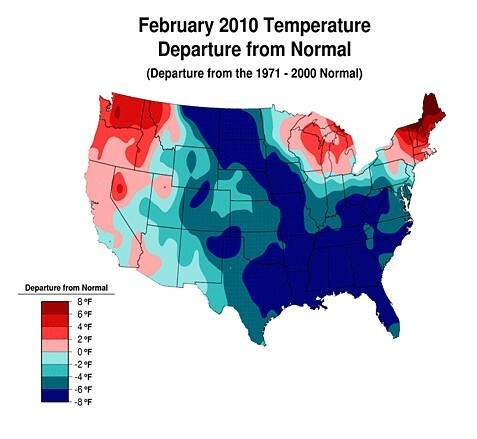 And if we compare this years Dec-Feb temperature with 1907 it is -3.26 F cooler. 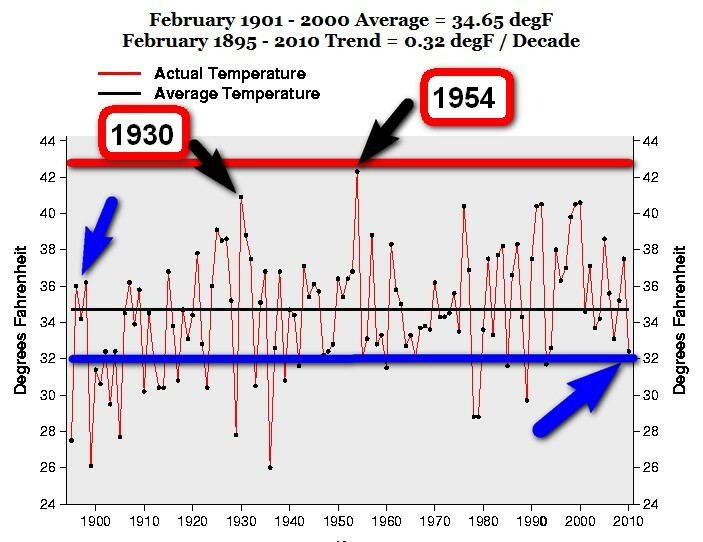 Another glorious example of the catastrophic warming in the last 114 years! This entry was posted on 8 mars, 2010 at 8:29 e m and is filed under Fri- och rättigheter, Miljö - Environment, USA, Yttrandefrihet. You can follow any responses to this entry through the RSS 2.0 feed. You can leave a response, or trackback from your own site.